The director of Halloween is here to explain why exactly Michael Myers didn't go as far as he could have gone in one of the movie's most surprising moments. The sequel to John Carpenter's 1978 classic slasher flick finally arrived over the weekend and brought with it the return of the horror icon that we've all been waiting for. And it even confronted something that hasn't really been confronted, at least not in this way, in the franchise previously. Now, David Gordon Green reveals his thoughts behind the shocking moment. Warning: spoilers ahead for Halloween 2018. At one point in the movie after Michael Myers escapes and has finally put together his full ensemble once again, the white-masked psycho goes on something of a random killing spree. During that spree, he comes across a baby in a crib. The moment lingers and the audience is left to wonder, "Is Michael Myers going to kill a baby?" Ultimately, he doesn't, but as director David Gordon Green explained in a recent interview, it wasn't like it was a hard limit. Here's what Green had to say about it. "Why doesn't he? Because that would be so rude. I think it was a consideration." So it looks like even Michael Myers does have a line. The slasher has done some truly heinous stuff over the years. And what he does in this movie is no exception. There are some brutal kills in the new Halloween but nothing that modern mainstream horror audiences couldn't forgive. Had Michael actually killed a baby, that might have been a different story. So how did this moment come about? Explaining things a bit further, the director reveals it was actually something of a last-minute addition. The scene, had it played out as originally intended, would have likely stood out far less in the grand scheme of things. "Yes, it's terrifying in its own right. And it was a last minute idea, I mean, why is there a baby crib in the living room? It was gonna be her husband sleeping on the couch, but then he didn't show up and we scrambled and put a baby crib in there. And then, yeah, I thought it was interesting to see one ethical choice that he made in the movie. So that's the one ethical choice he makes." The movie got a great moment that didn't cross the line as the result of something not going as planned. It all worked out well, based on the results so far, as both critics and audiences are responding very well to the movie so far, in terms of response. 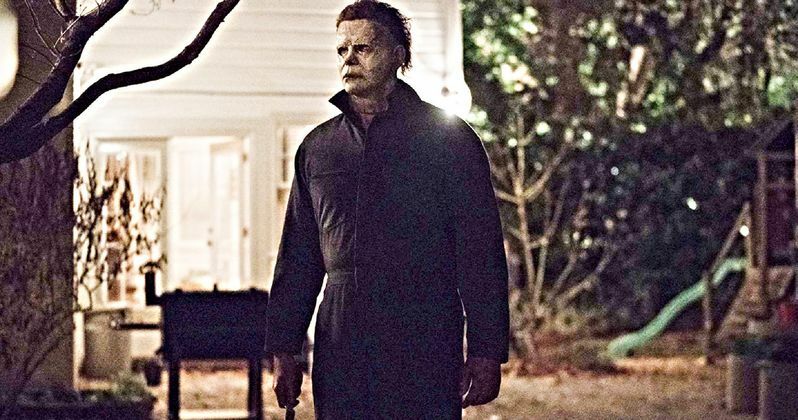 Financially, Halloween is a mega-hit, having earned $77 million on its opening weekend, making it the biggest debut for a slasher movie ever. Michael Myers is back in a big way. And he doesn't kill babies. This news was first reported by Collider.